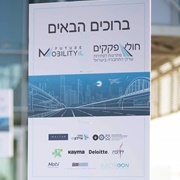 The syposium "MaaS at the Academia-Industry-Government Junction" was organized by the Institute for Innovation in Transportation together with the Shlomo Shmeltzer Institute for Smart Transportation at Tel Aviv University, as part of the Smart Mobility Summit in Tel Aviv. The event brought together university researchers, industry experts and government representatives as part of the efforts of the organizers to bridge between academia and other actors in the smart mobility arena, to encourage collaboration and knowledge exchange. Following an introduction to the topic of Mobility as a Service, the program included lectures on challenges and opportunities as seen from the perspective of the industry, academic researchers and policy-makers. 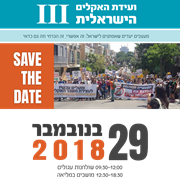 This provided a very broad view of the field, from in-depth research, to implementation issues and questions about the role of public policy. Following the presentations there was a panel discussion to discuss how cooperation between the sectors works best and what tools could be used to support further collaboration. The discussion raised various ideas including adapting research timelines and providing joint funding in order to support academic-private sector cooperation. To complete the program, Assaf Biderman, founder of Superpedestrian, engaged the audience with a keynote talk describing the company's research and product development on individual mobility and his own path from academia to entrepreneurship. The event was full to standing-room only, and had a diverse audience including international delegations and local experts. Particularly encouraging was the mix of participants from academia, the public sector and industry, showing that there is great interest in engaging across the sectors to discuss these issues and create routes for cooperation.